StreamScope RM-50 is a cost-effective monitoring system for maintaining viewer QoS and regulatory compliance for multiple MPEG transport streams. The RM-50 supports mulitple simultaneous inputs, including RF, ASI, and GigE. At-a-glance dashboards and detailed reports provide real-time QoS and compliance summaries. 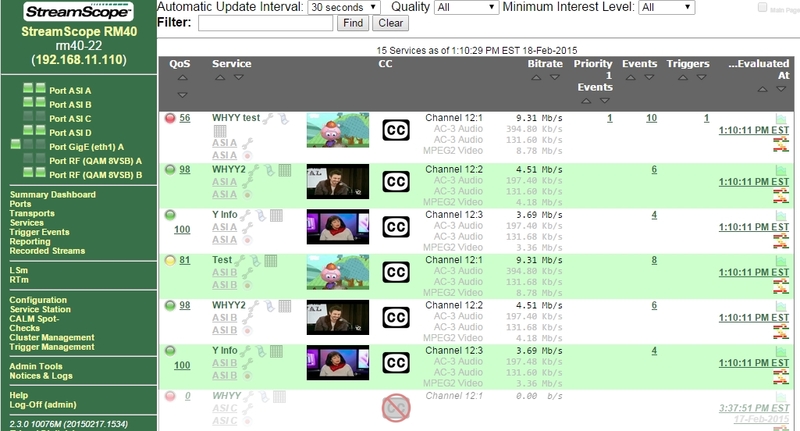 To maintain FCC 14-12 compliance, the RM-50 reports missing, inaccurate, and unsynchronized closed captions. For CALM Act compliance, the RM-50 performs spot checks, displays LKFS graphs, and generates commercial loudness reports. At-a-glance time line reports showing all the QoS trends for a service on one color-coded page. 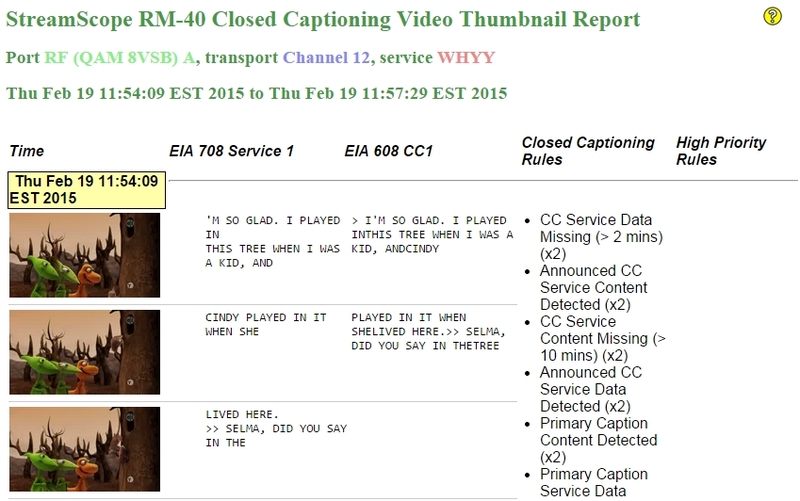 Detailed closed caption reports with time-stamped video thumbnails and FCC rule violations. 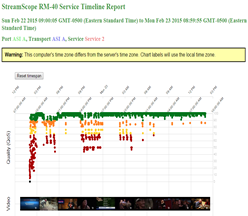 Optional Live Service monitor (LSm) application with real-time video and audio QoS data displays for comparing services. Analyze caption quality with correlated time lines. Verify caption accuracy with video thumbnails. Troubleshoot caption issues with detailed reports. Customize analysis rules for your needs. 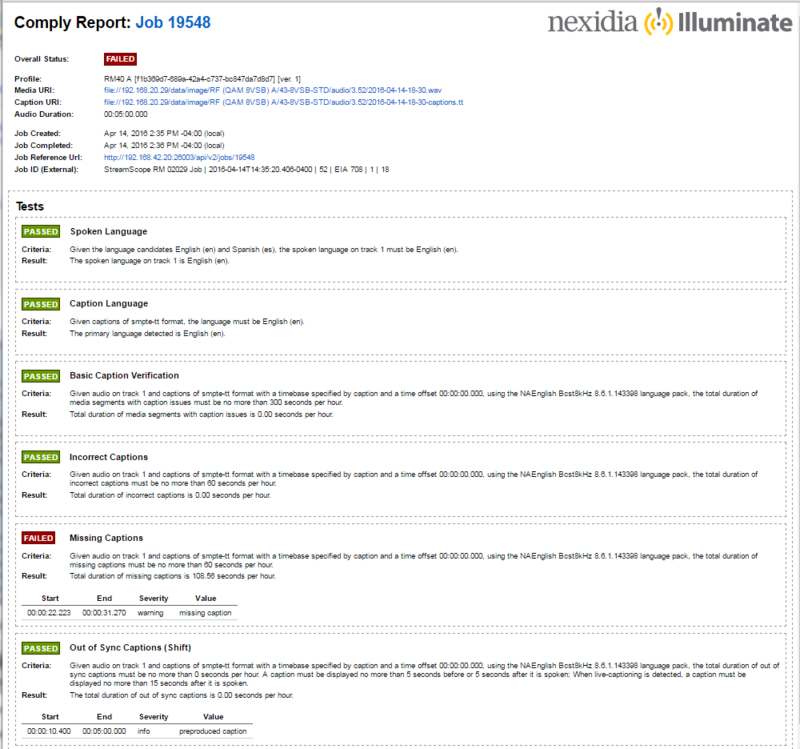 View Nexidia® Illuminate compliance reports (optional).